All over the world, more and more farmers and farming systems are moving away from large-scale monoculture crops and returning to the ‘integrated farm’ model that produces a variety of crops and vegetables, and also rears livestock. Having come full circle, it is clear that such farming systems are so much more viable for farmers, especially smallholder farmers. The great benefit here is that combining several production components decreases the risk that is an inherent characteristic of large-scale plantations. In an integrated farm, on the other hand, even if one component fails, the others compensate for it. 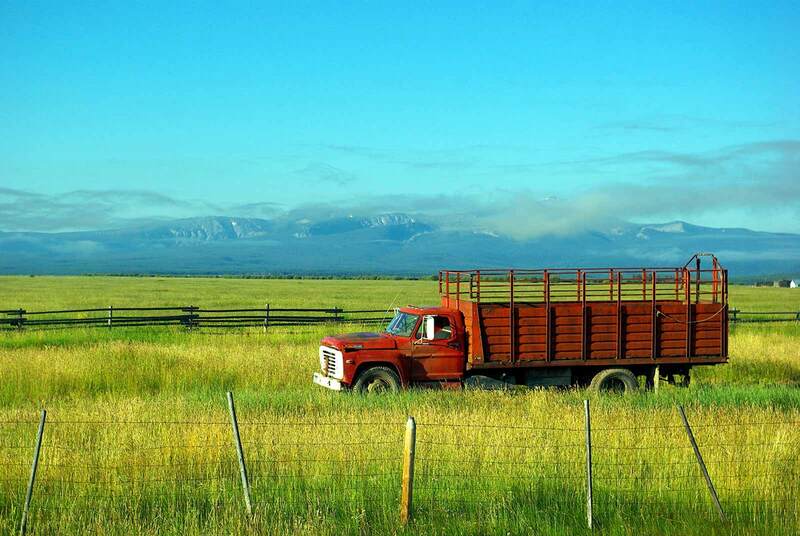 Trees provide shade for crops and livestock while producing fruit; cattle manure is used as a fertilizer; crop by-products can be fed to animals. This symbiotic, synergetic relationship among the various components enhances overall production. In this way, not only are resources used in an optimal manner, but it also provides for subsistence needs of the household. And yet another vital component of integrated farming systems is aquaculture. In simple terms, aquaculture is the farming of fish in ponds. In many parts of the world, aquaculture has been part of a traditional integrated farm, and in others, it is now being re-introduced for its value: harvesting fish for both household consumption, and as a means of income. Let’s look at some typical examples from around the world. In Asia and Central Europe, farmers have integrated pond culture into diverse farming systems. In some parts of Europe, earthen ponds used to be constructed, which would help retain the water table, serve as readily available water to fight fires; and most of all, for the production of common carp. The manure from cattle would be used to fertilize these ponds. Even in a case where revenues from fish production would just about cover expenditure, it had always been a way of maintaining an asset in times of crisis. In China the methods are slightly different – the ponds are often stocked with several fish species that occupy different parts of the pond, feeding on different nutritional niches, providing for different varieties of fish to be harvested from the same pond. In Bangladesh, rice farmers have traditionally taken advantage of the seasonal migration of fish into their rice fields. During the monsoon, when flood waters fill up paddy fields, wild fish enter into the fields where they feed on natural food under the protection offered by rice stems. As the floods recede, the fish are trapped and are harvested along with the rice. So we can see that diversification of farming systems to include aquaculture reduces the risks associated with small-scale farming. The pond water can also be used for irrigation and livestock-watering in the dry season; and it enables year-round production viability. Due to all these benefits, fish farming or aquaculture is being re-introduced into integrated farming systems. A study from Philippines showed that a shift from rice monoculture to rice-fish farming requires a 17 per cent increase in labour and investment; and an additional 22 per cent increase in capital investment. However, the additional fish production increases farm income by 67 per cent. Also, the ponds are used for the cultivation of other edible plants, such as Chinese water spinach and water chestnut. There are also other environmental benefits: farm wastes are produced in significant quantities, their application into aquaculture ponds not only leads to a more efficient system, but prevents them from being disposed into the environment. In Bangladesh too, new approaches in rice farming has benefited thousands of farmers. The new method involves additional stocking of fish into paddy fields during the rain-fed and irrigated rice seasons, and better farm management practices. The farmers not only earned more, but the practice was also found to be environmentally and ecologically sound. Some fish species eat both rice pests and disease carrying organisms, thus reducing the need for chemical fertilizers. But not everywhere in the world has the introduction of fish farming been as hassle-free. In some places where it was introduced for the first time, donor-driven models in development policies barely recognized ground realities. A classic example of this is the donor-driven aquaculture development in sub-Saharan Africa. Having come in with the objective of improving food security and livelihood resilience amongst the resource poorest, they focused on small-scale freshwater pond culture. Unfortunately, the so called ‘poorest’ is so short of resources that they are hardly able to turn production into a viable activity, as they simply do not have the assets required to establish and sustain this new and demanding technology. And by focusing on the poorest group, development agencies ignored those who do have access to these resources. So they actually bypassed those who could have made a positive difference to the sustained development of aquaculture. Some of the assumptions on which these interventions were based were totally wrong – such as fish farming technology being within easy grasp of small-scale farmers, and that majority of the produce would be for home consumption. The truth is that technology required for economically successful pond culture is demanding. And fish consumption for home use is not incentive enough for farmers to take up aquaculture. The labour required for these operations is also more scarce than one would imagine. 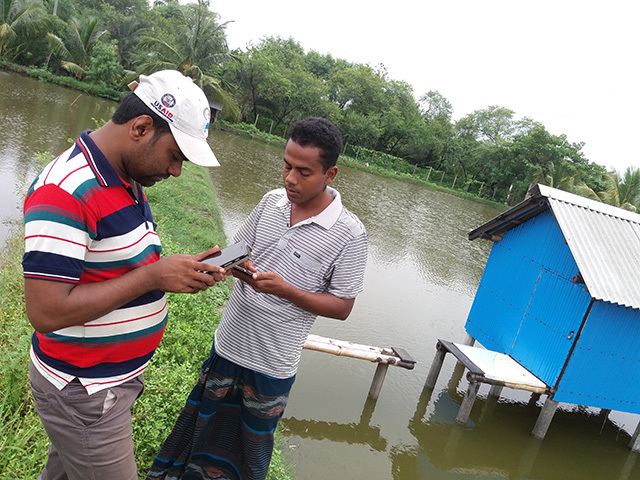 But in Bangladesh, women-headed households of such aquaculture operations have benefited, because the technology was designed in partnership with them. This has brought about substantial improvements in the livelihoods of the women and those who depend on them. What, then, should one look out for in integrated farming systems that include aquaculture? That’s a question for extensive research. The components of this research should include not only bio-technical rationale, but also social, economic, institutional and environmental implications. There are several research questions that need to be answered before a clear link can be established between the supply of certain types of fish and improvements in nutritional status among the poor populations in developing countries. The most difficult research issue perhaps will be to obtain estimates of the effects of consumption of particular fish species on nutrition. In the least, this will require laboratory analysis of various fish species for their nutritional content. The production potential of various species will be the key issue on the supply side.